How to download all videos of a youtube channel just in one click? YouTube is the most popular video-sharing website, and it allows people to upload, view, share, rate and comment on the videos. YouTube provides a wide range of available video content, and now it has more than 1 billion users worldwide. By downloading YouTube videos, you can enjoy them anytime, anywhere even without Internet connection. Do not waste time downloading YouTube videos one by one, this time you are able to download multiple videos from YouTube at once with iFun Video Converter. iFun Video Converter is one of the best free video converter and YouTube downloader tools allowing you to convert and download videos in the easiest way. iFun Video Converter helps you download the entire YouTube channel with just 1 click. Here’s how to download YouTube channel with iFun Video Converter. Just follow few simple steps and use iFun Video Converter to make it. Before using iFun Video Converter to download the channel from YouTube, what you should find out first if what is a YouTube channel. Simply put, a channel on YouTube is actually the homepage for an account. It includes the account name, account type and displays the public videos the account owner has uploaded. As a viewer, you can subscribe your favorite channels and watch the latest videos regularly. A YouTube channel usually contains multiple videos. Now, learn how to download the entire YouTube channel with just 1 click. 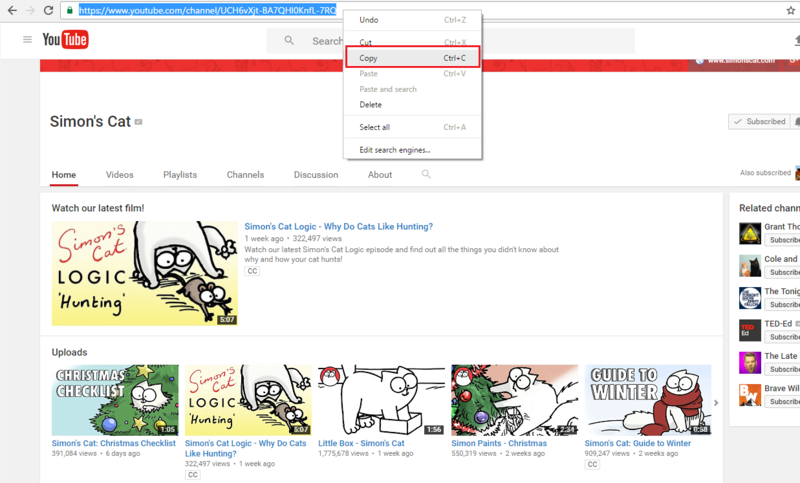 We take the YouTube Channel “Simon’s Cat” as an example.